Burdock belongs to the genus Arctium, with several species that are native to Europe, Asia, and North America. For centuries, the burdock root has been used in traditional medicine as a diuretic to remove excess fluid from the body by increasing urine production; a ‘blood purifier’ that removes toxins from the bloodstream; and as a topical treatment for skin problems. 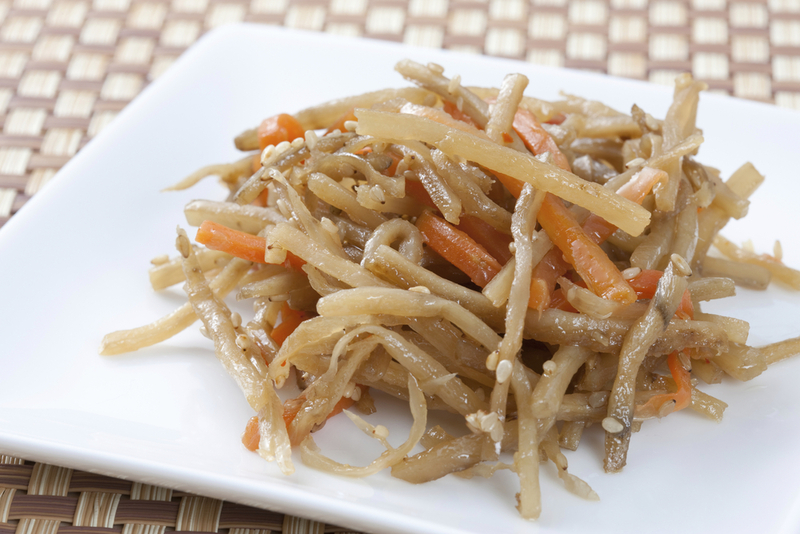 The Japanese favor the consumption of burdock root (which they refer to as gobo) as a vegetable, while it is used in traditional Chinese medicine for a myriad of purposes. It is known to promote skin health, balance internal heat, soothes the mucus membranes and enhances digestion. As mentioned before, burdock root is used as a natural diuretic since it stimulates the kidney to remove excess fluid from the body. This is done by flushing out water and sodium through increased urine production or constantly feeling the urge to pee. For people who have fluid retention issues, the burdock root might be a good natural remedy instead of prescription drugs. A common identifier of constipation, poor dietary intake, and high blood toxicity is skin inflammation. This could either manifest as acne, rashes, or dandruff. Topical products containing burdock root can help clear up the skin, and the consumption of burdock root can also solve the underlying cause of the skin problems. Tonsillitis is a viral infection of the tissues in the tonsils that cause it to redden and become swollen and painful. Burdock root can help alleviate the pain and inflammation caused by tonsillitis. Burdock root contains small amounts of riboflavin, niacin, pyridoxine, folic acid, vitamin E, and vitamin A that are all essential in fighting cancer and boosting your immune system. 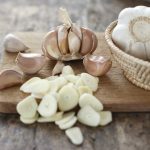 It also contains arctigenin, a chemical compound also found in Arctium plants which are said to inhibit the rapid reproduction of cancer cells. The phytochemicals that are found in burdock root stimulates the production of bile and digestive juices in the stomach, making it easier for the liver to filter toxins from the blood. For people with diabetes, incorporating burdock root in your diet will help you manage your blood sugar levels naturally. 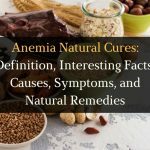 It is a good source of inulin, glucoside-lappin, and mucilage, all of which act as a prebiotic that help reduce blood sugar levels, cholesterol levels, and body weight. One of the amazing benefits that you can get from burdock root is its ability to control your heart rate and blood pressure. It contains plenty of electrolyte potassium which works by relaxing the blood vessels, preventing the risk of heart attack and stroke. Since burdock root is rich in fiber, regular consumption of this can also promote the health of your digestive system by enabling the food to move smoothly through the intestines, thus preventing constipation, bloating, and cramps. It also cleanses the gut and fights off harmful bacteria that cause gastrointestinal problems. Eating burdock root can also boost your body’s disease-fighting capabilities, since it contains plenty of vitamin C and vitamin E, which are both essential in preventing infections, eliminating free radicals, and supporting the growth, repair, and development of the body’s cells and tissues. People with arthritis might have difficulty in performing daily activities because of the swelling, pain, and decreased range in motion in their joints. Fortunately, the anti-inflammatory properties of burdock root can help alleviate arthritis, especially with regular consumption. A proportional hormonal level is very important because it is responsible for the stability of your body’s organs – any excess or deficiency can cause chronic disorders and may affect your overall well-being. Certain chemicals that are present in burdock root help the liver metabolize hormones which restore the normal hormonal levels of the body. Normally, the spleen swells twice its normal size when it becomes overactive. An enlarged spleen is an indicator of bacterial infections, liver cirrhosis, blood diseases, and lymphatic problems. 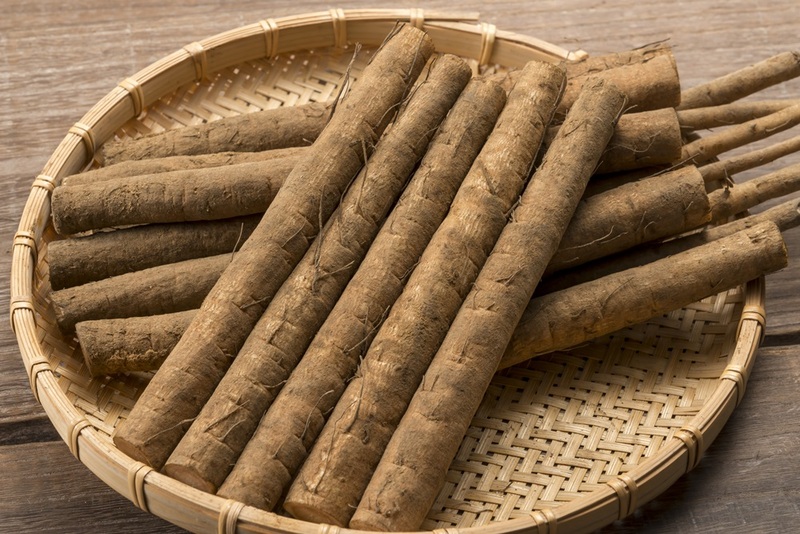 Consuming burdock root purifies the bloodstream, and since the spleen is responsible for fighting bacteria and filtering your blood, it will avoid being overactive, thus preventing enlargement. As much as herbs can strengthen the body and treat diseases, herbs can also have side effects when it reacts with medications, supplements, and other herbs. Before consuming herbs and incorporating them into your diet, make sure to consult with a physician so you can discuss the best approach to your well-being. 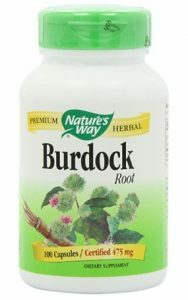 Pregnant or nursing women should avoid burdock as it can harm the fetus. Patients who are undergoing potassium-sparing diuretic therapy should avoid burdock as it can trigger potassium toxicity. People who have bleeding disorders should avoid burdock since it slows blood clotting and increases the risk of bleeding. 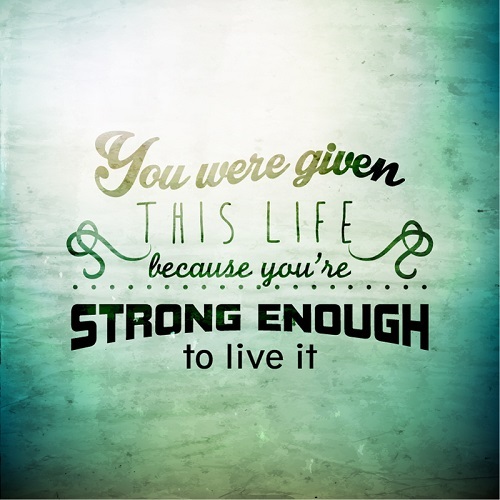 This also applies to patients who are about to undergo surgery. Burdock is edible and safe when eaten as a food. However, it is best to take burdock supplements in small amounts since there are insufficient studies regarding its safety. People who are allergic to ragweed, chrysanthemum and daisies might experience allergic reactions to burdock. There is a chance that burdock may be contaminated with deadly herbs like the belladonna or nightshade, as the roots of these herbs closely resemble each other. Make sure that the preparation for your burdock is clean and uncontaminated. The concept of the hook-and-loop fastener was derived from the burdock seeds by Swiss inventor George de Mestral. While taking his dog out for a walk one day, he became curious about how the seeds clung to his jacket and to the dog’s fur. After examining it under a microscope, he realized that the same mechanism could be used to join two things together. This discovery led to the creation of Velcro, one of the world’s largest producer of hook-and-loop fasteners. 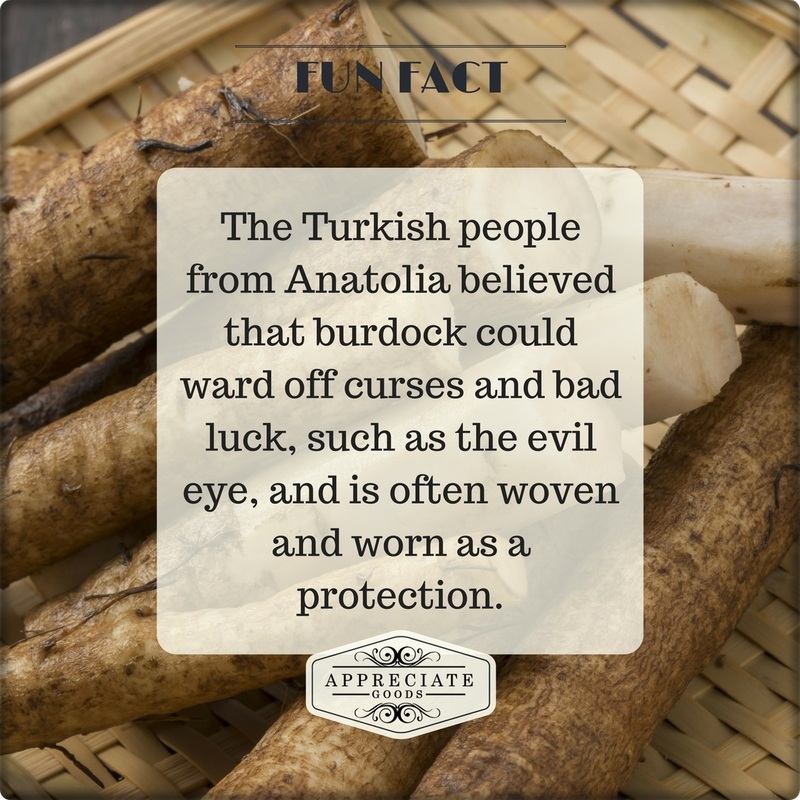 The Turkish people from Anatolia believed that burdock could ward off curses and bad luck, such as the evil eye, and is often woven and worn as a protection. Before the use of hops, the burdock root was used in Europe as a bittering agent in beer. Love sushi? 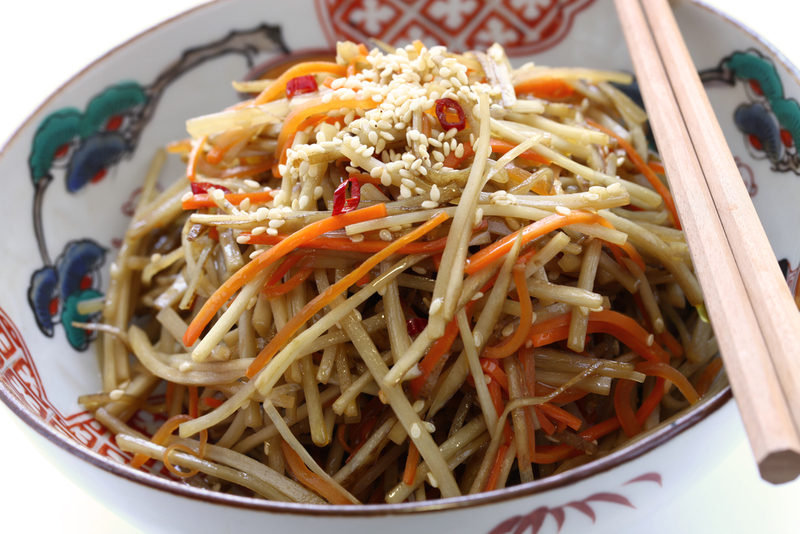 Then you might like the Japanese makizushi, which contains pickled burdock root that is often artificially colored orange to resemble a carrot. Popular in the United Kingdom since the medieval period, the combination of dandelion and burdock is a beverage that was originally a type of light mead, but has now become a carbonated drink that is commercially manufactured. Scrub or peel the burdock root, cut into matchsticks, and soak in water. Rinse until water runs clear. Cut carrots into matchsticks as well. Measure out the sugar, mirin, and soy sauce. Heat sesame oil in a pan and sauté burdock, carrot and red chili on medium heat until carrot is soft. Burdock root will remain a bit harder, but make sure it’s not too tough! Add in sugar and mirin first. Mix well for a minute or two, then add in soy sauce. Stir fry until soy sauce begins to caramelize and gives off a nice smell. Stop the heat and sprinkle on sesame seeds. Serve and enjoy! 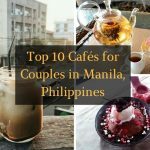 Goes good with rice and keeps well for leftovers and lunches! The Truth About Coconut Oil – Yay or Nay?